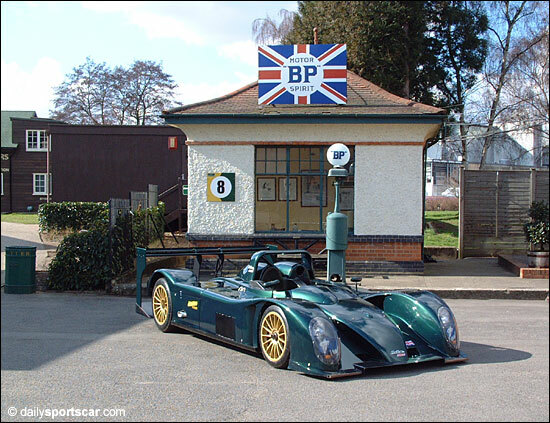 The ProTran Competition ProTran RS06/H was on display at Brooklands today - partly 'for the benefit' of the ACO. ACO Technical Director M. Daniel Perdrix continued his UK tour of new prototypes by inspecting Paul Cope's LMP1 hybrid, and there were plenty of smiles evident during and after the visit. 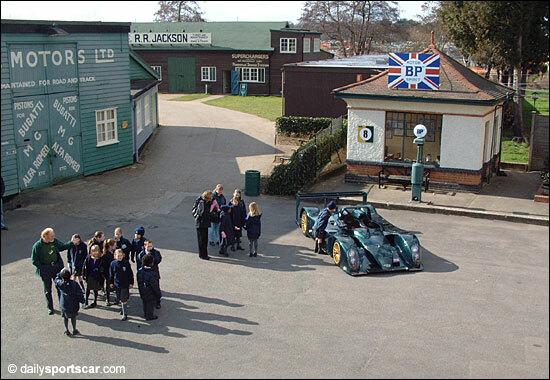 The car - in its stunning Jaguar Racing Green colour scheme - was parked in front of a sign that captured the spirit of this new prototype team, and the ProTran also gave a visiting class of schoolchildren the chance to stop and stare. 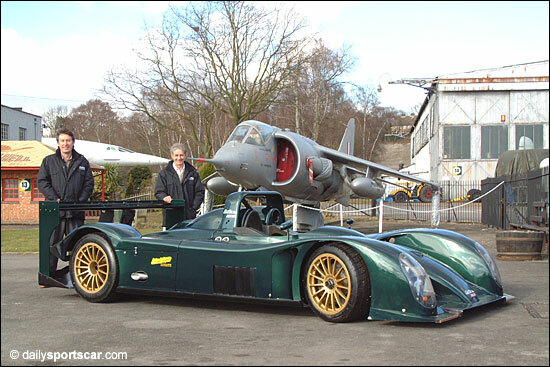 The third image shows Paul Cope and Lester Ray with the car, in front of a Harrier, which is very appropriate because Lester was responsible for the whole breed of Harrier race cars (one of which raced at Le Mans). Also poking its nose into the image is Concorde G-BBDG, one of the many aircaft exhibits at the wonderful Brooklands site.